"Loon Lodge, A Northern Lakes Quilt" Queen Kit. This beautiful quilt was designed by Bonnie Brown Hunter. The kit was put together by Amy's Sewing Room using fabrics from Moda, Timeless Treasures, and Wilmington Prints. The quilt measures 90 1/2" x 90 1/2". The kit includes the fabric for the quilt top, binding and pattern book. 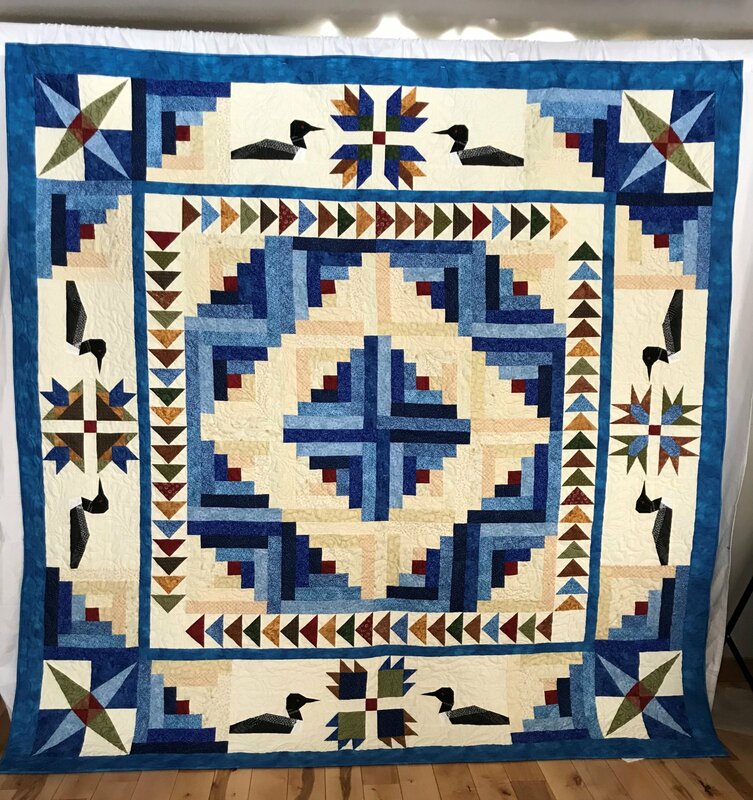 The Loon Lodge Quilt was designed for the intermediate quilter who has mastered basic quilting skills including precise cutting, consistent 1/4" seams and some paper piecing. The flying geese and loon blocks are all paper pieced.